Whether you are performing killing assays, immunophenotyping of TILs, characterizing the tumor microenvironment, or investigating immunogenicity, primary cells are essential for drug discovery. Conclusive and relevant assay results depend on reliable and efficient sample processing, including cell separation and tumor dissociation. 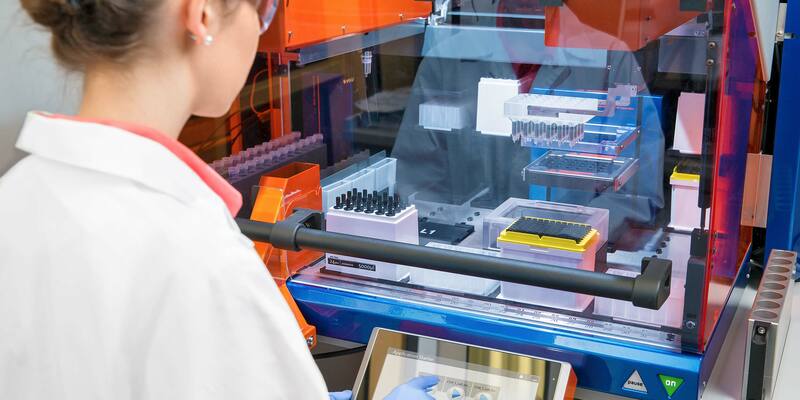 We’ve developed flexible automated solutions for primary cell isolation from various starting materials to ensure the best fit for every drug discovery program. Watch the video on fully automated magnetic cell labeling and isolation for high-throughput demands. Interested? Contact us for a live demo or more information. 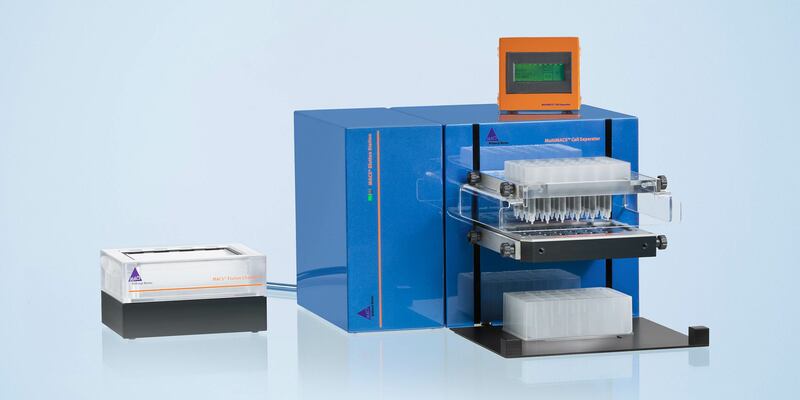 The MultiMACS™ Cell Separator family offers semi-automated or fully automated cell isolation solutions from high sample volumes such as Leukopaks® or buffy coats. Using StraightFrom® MicroBead Kits together with the MultiMACS Cell24 Separator Plus, you can isolate target cells directly from an entire buffy coat in only 30 minutes. 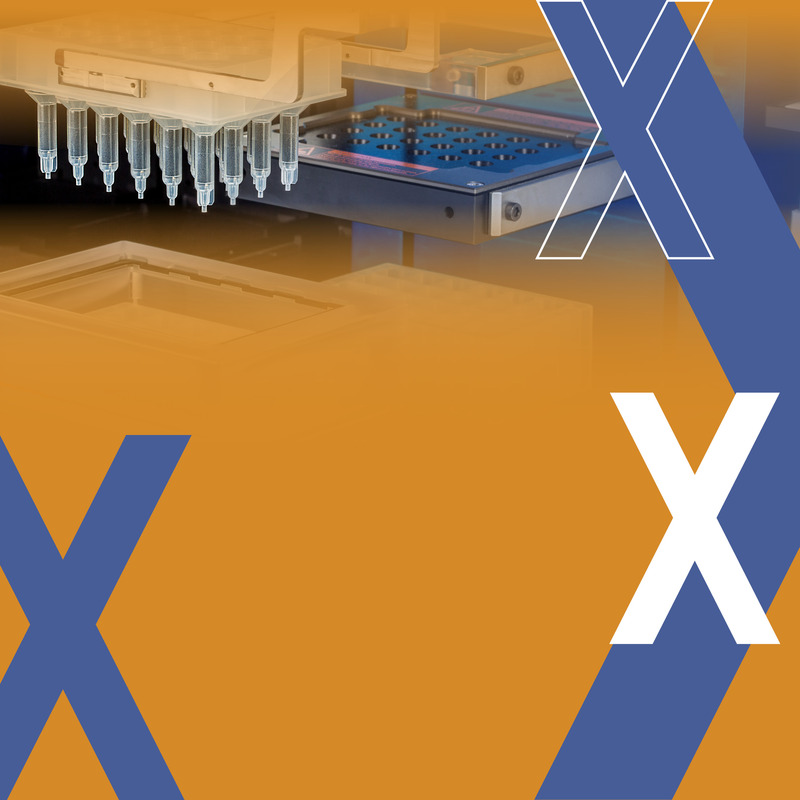 High-throughput cell processing, parallel cell isolation from up to 24 PBMC or tissue samples is possible with the MultiMACS X, which integrates the MultiMACS Cell24 Separator Plus with a liquid handler. 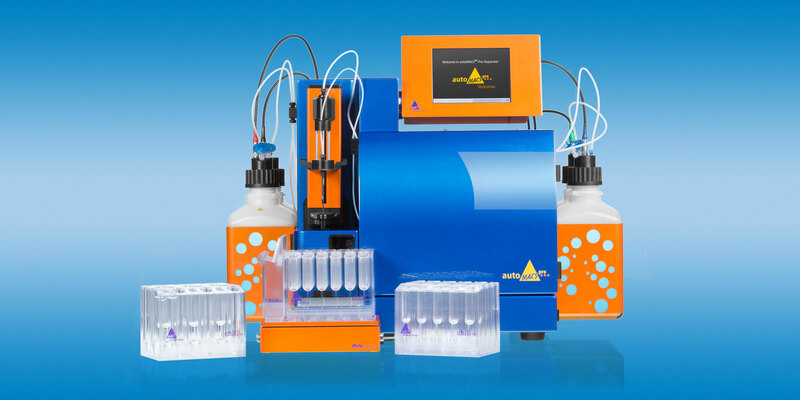 The autoMACS® Pro Separator is a versatile and flexible benchtop instrument, processing up to six samples in a single run. Whole blood, PBMCs, dissociated tissue samples, and tumor cell suspensions can be processed in a fast and easy way in combination with a variety of MACS® MicroBeads and Isolation Kits. Take this short instrument tour and see how your target cells are beeing separated directly from whole blood samples without the need for density gradient centrifugation or red blood cell lysis. Contact us to to get a consultation on the best combination on instruments and kits for your cell isolation needs or to schedule a demo.